My friend Mandy, at Harper’s Happenings, hosts a weekly meme called “Steppin’ Out,” where mommies and kidlets get to show off their style. Everything I’m wearing? And, actually, most of my wardrobe? Clearance. No way Mommy’s paying full price for stuff I only wear a few times before I outgrow it. Also? How much do we love Crazy 8? I spent a really great morning running around Coach and Grammy Boo’s yard. It’s so nice to have a Coach to run and swing and smell the flowers with. 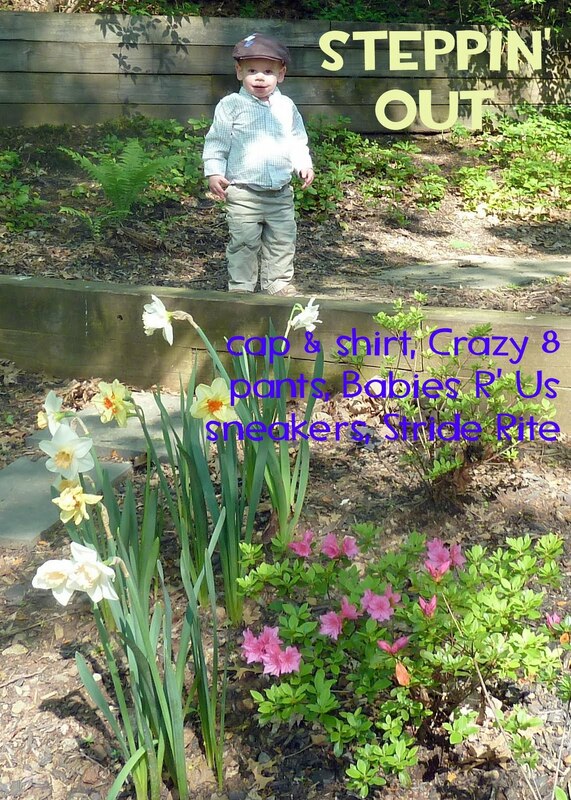 This post was not in any way sponsored by Crazy 8, Babies R’ Us, or Stride Rite – but if any of those companies are looking for a model, I’d totally be down. LOL @ You'd make a great model! What an adorable picture!! Such a fashionable little dude! !